A Limited Edition version of Jurlique's best-selling Rosewater Balancing Mist. The refreshing mist hydrates and balances skin to leave you feeling cool and delivers a delicate, uplifting rose fragrance. Developed using the brand's 'Seed to Skin' process, the mist is enriched with a unique blend of five precious rose extracts grown on Jurlique's farm in Australia, including Rosa Gallica and Rosa Damascena. The soothing spritz conditions skin and restores moisture for a softer, smoother texture and provides antioxidant protection to shield skin from harmful environmental aggressors. With every purchase, a 5% donation goes to the Jurlique 'Ideas of Beauty Fund' to support charities that help people and nature bloom. Money raised by the fund is used to improve quality of life and make the world a beautiful place to live. Mist your face or mist into hands and gently press on to your skin for refreshed and dewy skin. Always want to buy, finally get, appearance is very beautiful, insist on, looking forward to effect and change! Suitable for all skin type, useful for after washing face and hydrate skin. jurlique is always my favorite brand. I love this limited edition mist. The scent is so elegant and fresh that I will continue use it forever. 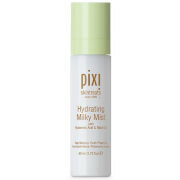 It helps increase hydration of your skin and make it softer and brighter. If you are looking for the perfect comination of a long lasting summer scent and a refreshment for the hot summer days then look no further than this gorgeous mist. This gorgeous Rose Scented Mist has become my summer staple. every time I am wearing it somebody is complimenting the scent.